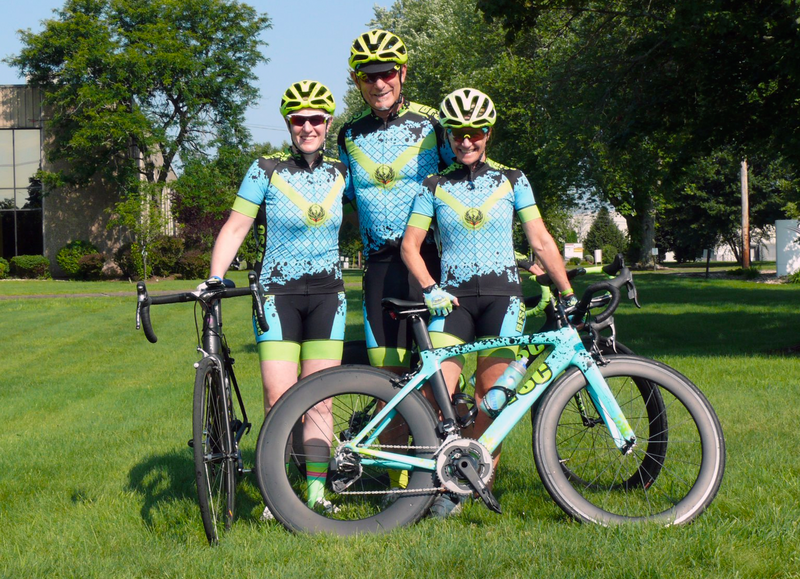 The annual Papa Brown race was held in Belize, The Fall River Criterium in the US along with the Massachusetts State senior olympic games in Chicopee Mass. Team BFSC was spread out but very successful! 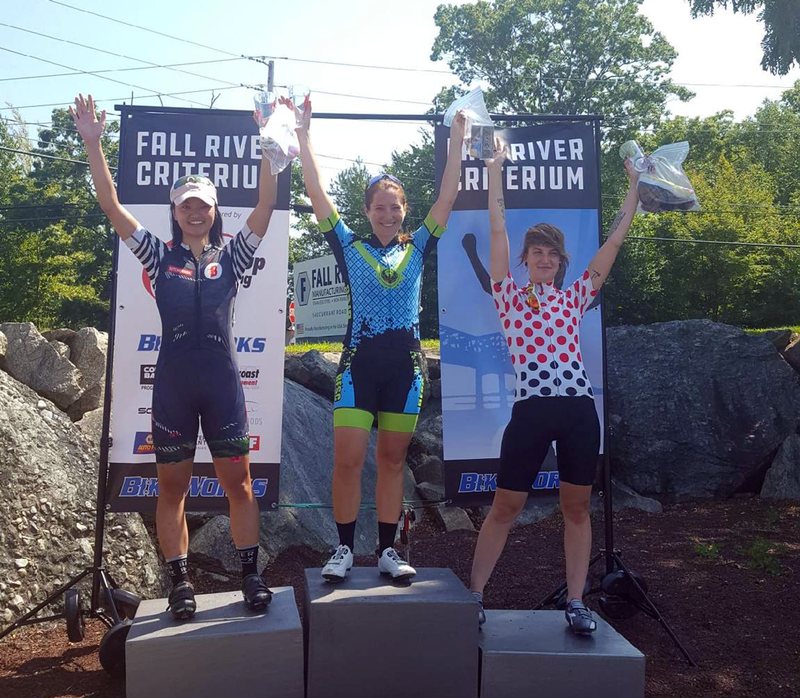 First, Dori Aleksandrowicz rode a brilliant race on the Fall River Course. An early solo break was reigned in and on the last lap Dori knew her Rival, Jessica He, would attack on the final hill. Sure to form, Jessica launched but Dori was ready and kept her wheel to the finishing flat and came around with 50 meters to go for the victory. This is the second win of the late season races in New England. Dori is now ranked 3rd in Massachusetts Cat 4 women. In Belize Charles Garay was in a break of 4 but within a mile of the finish he couldn’t avoid the crash that took down 3 riders. Charles was able to get back on the road and managed to finish. Behind him Derek Smith sprinted into 7th pace, Russel Dominguez launched several attacks to soften the field while Arden was in charge of covering other attacks. A great day despite the crash. 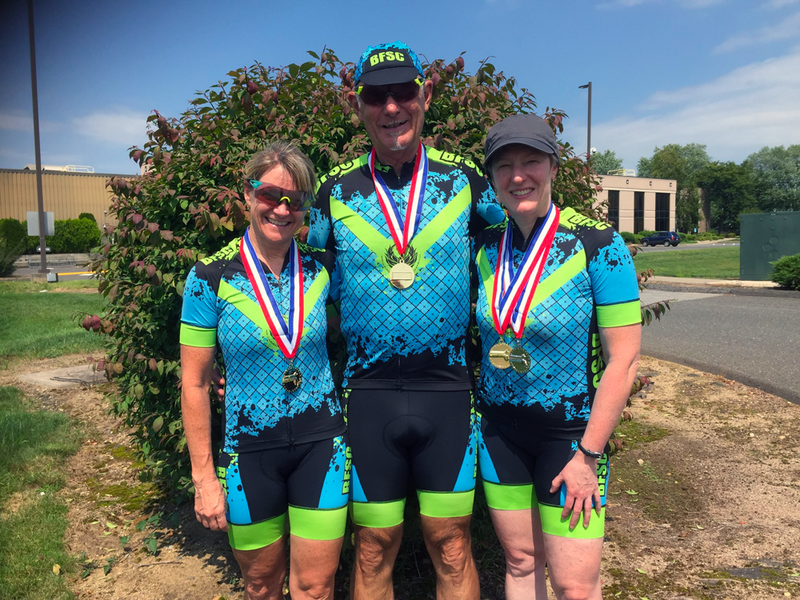 Back to Massachusetts, Janet Ramos, Lisa Berger and Ed Blank all competed in the (40 and over) masters games in Janet was the time trail champ while Lisa and Ed both won their races, so all three qualify for the national games in 2019 out in Albuquerque NM.